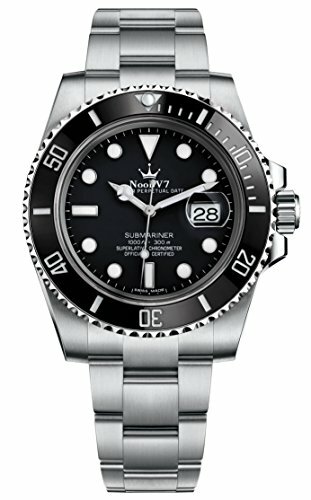 We prefer that you can know the watch well, then you will know our Noob Factory as well.Our Noob factory watch is reasonable in price with tight margins, is recognized the value is greater than price. The Top V8, carried Cal.3135,Accuracy per Day -5 to +6 sec.WATER RESIST: 300M. The same as V7 appearance.But used the 904L stainless steel And Cal.3135 Movement.The Gold Two Tone Is PVD Electroplating 18ct gold,stabilized shine performace and fastness, except the deap Scratch.maintains its beauty even in the harshest environments. We are sure that this watch will allow you to experience the original sense of luxury in every detail,is a guaranteed way to become a more powerful, more confident you, If you have any interest, Don't hesitate to contact us to know the further or more details pictures. The intermediate version is without original green wave box. We are responsible for the custom clearance, without any risk for your benefit. 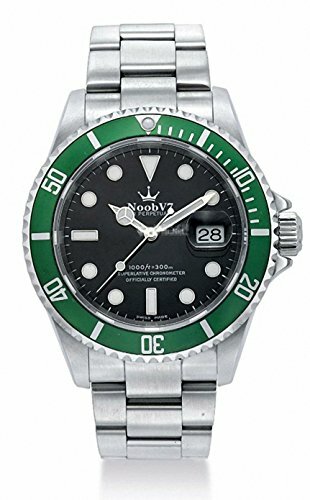 We prefer that you can know the watch well, then you will know our Noob Factory as well.Our Noob factory watch is reasonable in price with tight margins, is recognized the value is greater than price. As a famous and trusted brand of luxury watches can makes a person feel good about himself, and it shows how successful he is. Most people buy themselves the watch as a reward for achieving a level of personal success. The intermediate version carried Japanese Miyota 8200, Accuracy per Day -24 to +60 sec.WATER RESIST: only daily home life not suitable for swimming or bathing. materials:Luminescent hands and markers,unidirectional Ceramic Bezel,Scratch resistant sapphire crystal, 306L stainless steel Brushed Solid link flat three-piece links bracelet and Crown safety folding CLASP with Extension system. 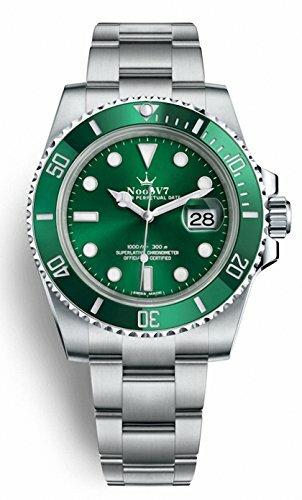 Size:40MM X 16MM The Advanced V7, carried Swiss ETA 2836,Accuracy per Day -6 to +8 sec.WATER RESIST: 200M. Materials: Scratch resistant sapphire crystal,laser crown trademark on Six Clock, But not easy to find it. ceramic bezel's numerals and graduations coated in gold.Highly legible display with long-lasting blue luminescence.Characterised by hour markers fashioned from 18 ct gold.316L stainless steel.Keep Original Size: 40MM X 13mm The Top V8, carried Cal.3135,Accuracy per Day -5 to +6 sec.WATER RESIST: 300M. 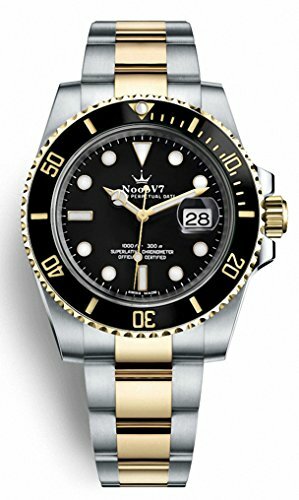 The same as V7 appearance.But used the 904L stainless steel And Cal.3135 Movement.The Gold Two Tone Is PVD Electroplating 18ct gold,stabilized shine performace and fastness, except the deap Scratch.maintains its beauty even in the harshest environments. We are sure that this watch will allow you to experience the original sense of luxury in every detail,is a guaranteed way to become a more powerful, more confident you, If you have any interest, Don't hesitate to contact us to know the further or more details pictures. The intermediate version is without original green wave box. We are responsible for the custom clearance, without any risk for your benefit.